Meredith has been out with with our neighbour Alice, in search of a beehive that Alice had promised to lend her. As they come into the kitchen, Meredith says “Look , Robin, Alice has brought you something really special”. Alice then comes into the kitchen clutching a paper bag. She handles it with such care that I’m convinced there’s a puppy dog inside it. Where will we keep it? Do I want a dog after all these years of doglessness! Alice carefully puts the paperbag in my arms and I quickly realise it’s not a dog. It is some wonderfully strange shaped mushrooms. They look like dirty sponges on small white feet. “Where did you find them” I ask her (in French). “C’est un secret,” she replies, with a broad grin on her face. Sauté very gently in butter with chopped onions perhaps, then fold in some creme fraiche. “No garlic”–then, after a moment’s thought, she says you could add a little with some parsley in a persillade. 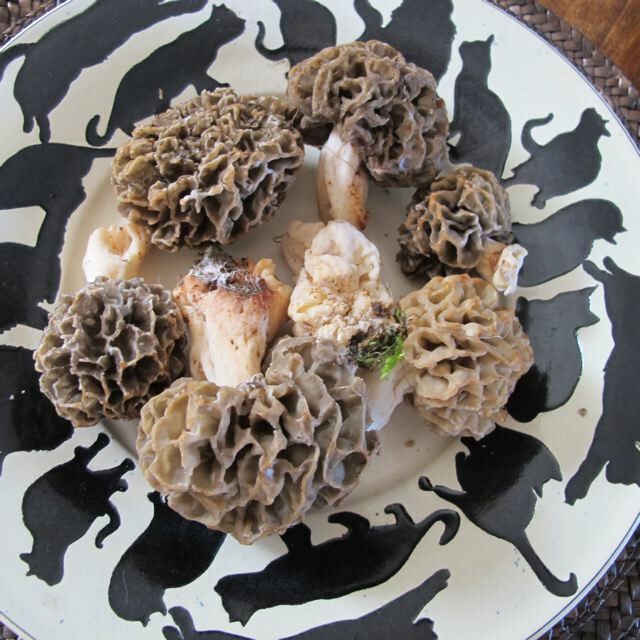 Morels along with cepes are the most sought after mushrooms she tells us, and are usually the first of the season. Then she says, rather surprisingly, that they don’t have a lot of taste–which accounts for the butter, cream and onions I suppose. Anyway, it is a great honour to be given something so prized and we will have them tonight, on a piece of rye toast. I love your blog, Robin. If only one could smell your dishes too – that would be wonderful…. I have a theory that men in the kitchen really like gadgets. Are you a gadget man? And if so which is your favourite? Yum. Is morel the English name? They look like morilles.. or maybe they’re a close cousin to the French morilles which are gorgeous. 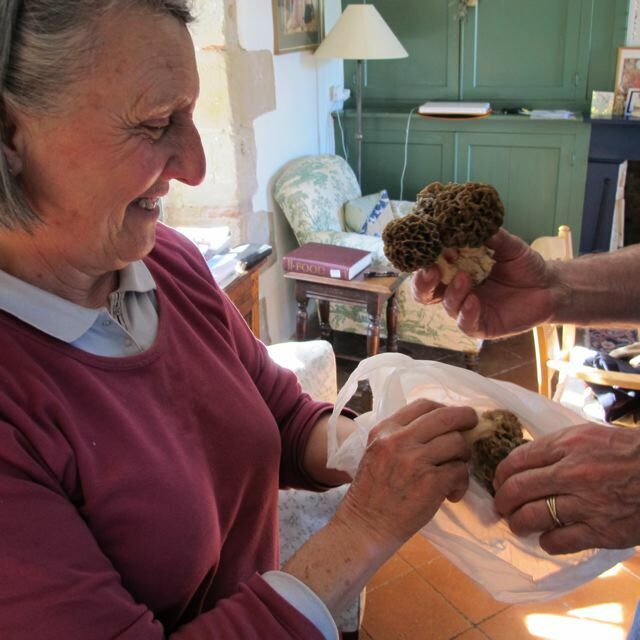 Thanks Rosemary–our friend Alice should be saying–“morilles”– I’ll correct it.